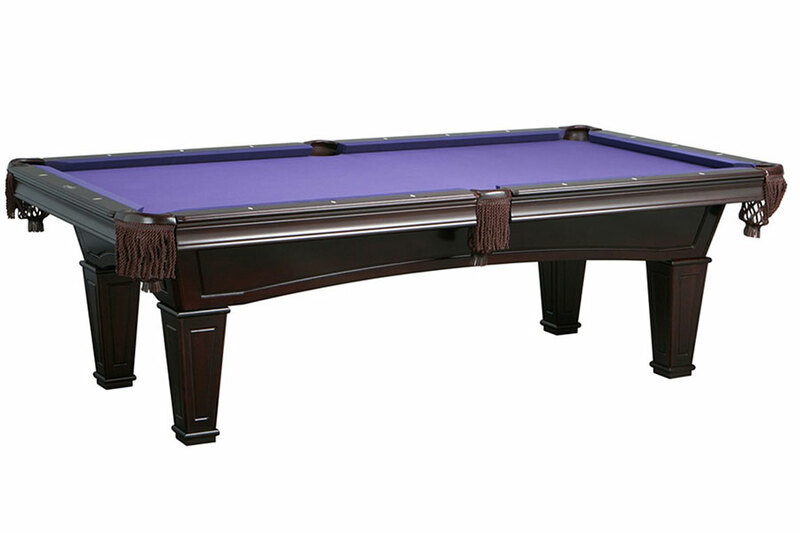 The Washington Billiard Table by Imperial would make a great addition to any game room. The table has solid wood tapered legs, rails and body, and features leather drop pockets with shield, and pearlized double diamond sites. The K66 cushion rubber provides great rebound and the 1-inch backed K pattern slate provides a true roll. Our Uni-Body design makes assembly and disassembly easier; the body comes fully assembled and the double crossbeam construction supports the slate and adds stability to the table. The routed aprons and legs add to the elegance of the table. Play like a pro on The Washington by Imperial. Cloth not included with table; purchase your choice of style and color separately.